William Herschel (1738-1822) English astronomer who discovered the planet Uranus. August 25 marks the passing of Frederick William Herschel. 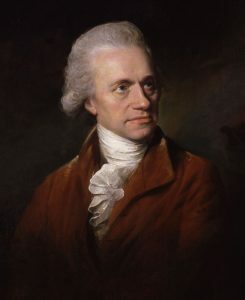 William Herschel was the older of the two English astronomers named Herschel. Herschel was raised to be a musician. His father was a musician and instructed his children to follow his path. Young Herschel joined his father in the Hanover Military Band but switched over to serve as a soldier when the Seven Years War began. He quickly decided that life as a soldier didn’t suit him and he deserted. He fled to England and was employed as an organist for the parish in Halifax. He eventually moved up as the organist for the nicer parish of Bath. Shortly after this move, he received news his father had died. He returned to Hanover to collect his sister Caroline and bring her to Bath. While in Bath, he began to indulge his interest in astronomy. He excelled at grinding and polishing mirrors and built several telescopes for himself. He began to study double stars, where two stars are in close proximity to each other. He was assisted by his sister who also began to study astronomy. Together, they found several double star systems. He presented the Royal Society with two catalogues containing the observational data on just over 700 double star systems. When he went back and observed some of these systems, he saw several cases where the relative position of the two stars had changed, but not by the amount they should have due to parallax. He theorized the two stars actually orbit each other. This would eventually be proved true in the form of binary star systems. During his double star studies, he detected a body that appeared to orbit outside the orbit of Saturn. After its orbit was calculated and confirmed to be a new planet, he proposed the name “Georgium sidus” or George’s Star after King George III. It proved a good enough form of flattery that King George named Herschel “The King’s Astronomer” with an annual stipend of £200. The rest of Europe didn’t really like the idea of a planet named after an English king and preferred to stick with the mythology names. The planet would become known as Uranus. Herschel would make several other discoveries. He discovered two moons around Uranus, Oberon, and Titania and two moons of Saturn, Enceladus, and Mimas. He also kept a detailed log of sunspot activity over 40 years and related the number of sunspots to the price of wheat or climate. He was the first to discover infrared radiation in visible light from the sun. 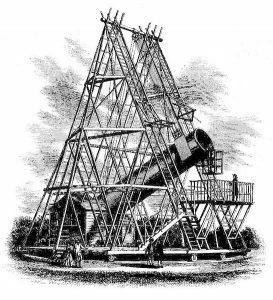 Herschel’s 40-foot telescope. Note the entire structure sits on a pivoting platform with a small house to shelter Herschel and his sister while they worked. Herschel was famous for his telescopes. He built over 400 of them in his lifetime including the famous ‘Great Forty Foot’ telescope. This telescope was a 49.5-inch diameter reflecting telescope with a 40-foot focal length and the world’s largest of the time and held that record for 50 years. King George III paid £4000 for its construction in 1785. Telescopes of the time usually had a small focusing mirror that reflected the light to an eyepiece. Herschel’s telescope eliminated this mirror and tilted the primary mirror so he could view the reflection directly. This design is known today as a Herschelian telescope. The first night he used this telescope was the night he discovered one of the Saturn moons. Herschel was probably the most famous English astronomer of his time. He also composed dozens of pieces of music ranging from full symphonies to church organ pieces. 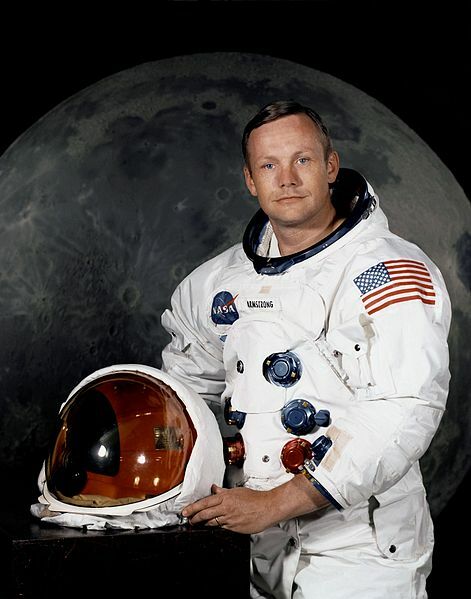 2012 – Neil Armstrong died. Armstrong was an American astronaut who was the first to walk on the Moon during the Apollo 11 mission. He was a Naval pilot during the Korean War and became a civilian test pilot for National Advisory Committee for Aeronautics. He was the first civilian astronaut and his first space mission was the first docking in space of two vehicles during the Gemini 8 mission. 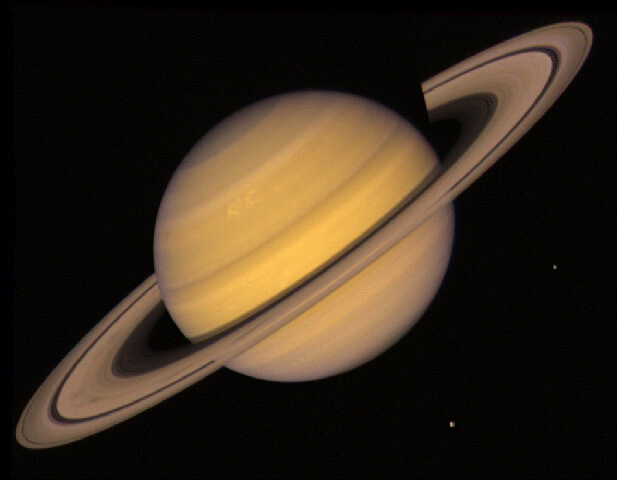 1981 – Voyager 2 made its closest approach to the planet Saturn. The Voyager 2 spacecraft came within 63,000 miles of Saturn’s cloud cover on its closest approach. Both Voyager spacecraft visited Saturn and investigated the atmosphere and ring systems. Voyager 2 determined the temperature at different altitudes that ranged from -203 °C to -130°C. It also discovered the north pole of Saturn was 10 degrees cooler. 1928 – Herbert Kroemer was born. Kroemer is a German-American electrical engineer and physicist who shares half the 2000 Nobel Prize in Physics with Zhores I. Alferov for their development of semiconductor heterostructures used in high-speed- and optoelectronics. Heterojunctions are semiconducting devices with bands of different semiconducting material and are useful for semiconductor lasers and solar cells. 1916 – Frederick Chapman Robbins was born. 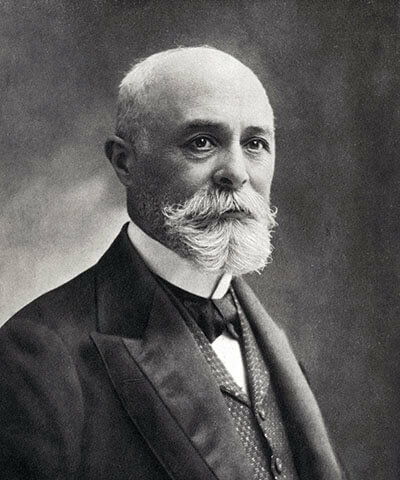 1908 – Antoine Henri Becquerel died. Becquerel was a French physicist who was awarded half the 1903 Nobel Prize in Physics for the discovery of radioactivity. He placed a sample uranium and a photographic plate in a black bag into a drawer while waiting for clear weather to expose the uranium to sunlight for an experiment. When he developed the plate a couple days later, he found an image of the uranium rocks. The existence of the image demonstrated the existence of radioactivity. 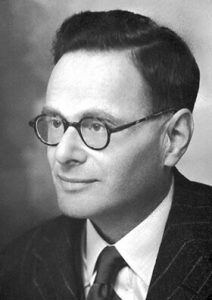 1900 – Hans Adolf Krebs was born. Krebs was a German biochemist who was awarded half the 1953 Nobel Prize in Medicine for his discovery of the citric acid cycle. The citric acid cycle or Krebs cycle is a series of chemical reactions in the cell that breaks down food molecules into carbon dioxide, water, and energy. He also discovered the urea cycle where urea is produced from ammonia in the liver. 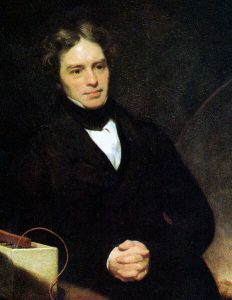 1867 – Michael Faraday died. Faraday was an English natural philosopher who made several contributions to the study of electricity and magnetism. He built the first electric motor and discovered electromagnetic induction and of the laws of electrolysis. He also discovered the chemical benzene and introduced the concept of oxidation numbers. The SI unit of capacitance, farad, is named in his honor. The faraday constant is the charge equivalent of a mole of electrons. 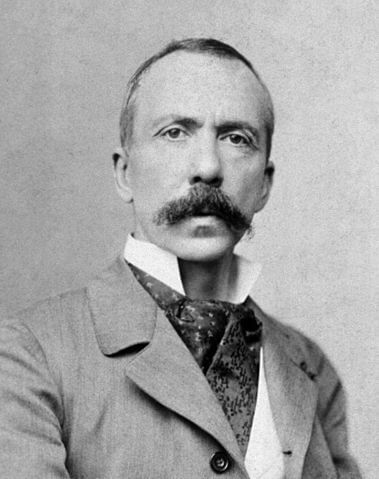 1850 – Charles Robert Richet was born. 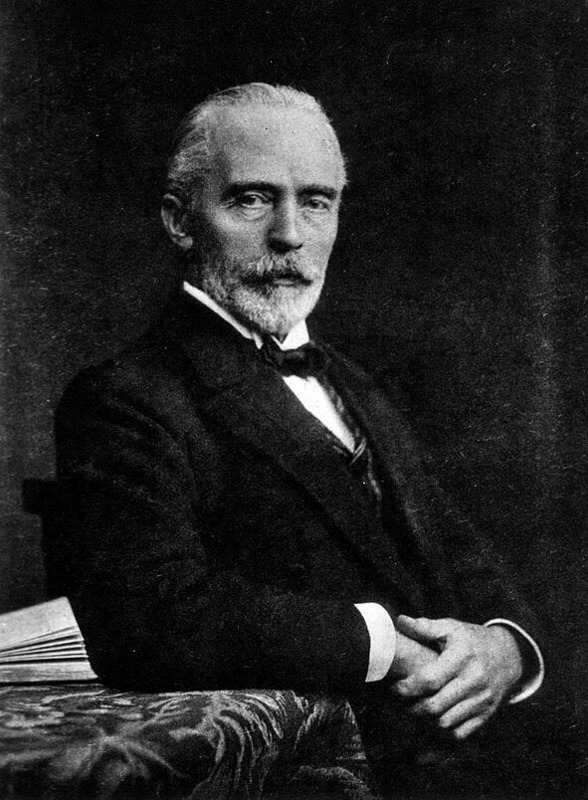 Richet was a French physiologist who was awarded the 1913 Nobel Prize in Medicine for his research into anaphylaxis. Anaphylaxis is an acute allergic reaction where extremely small doses of an allergen may cause life-threatening anaphylactic shock. Richet was also a leading researcher into parapsychology. He was interested in extrasensory perception (ESP) and hypnotism and believed there was a physical cause for supposed supernatural events. He is also credited with coining the word ‘ectoplasm’ to describe this physical cause. 1841 – Emil Theodor Kocher was born. Kocher was a Swiss surgeon who was awarded the 1909 Nobel Prize in Medicine for his research and surgical techniques involving the thyroid. Thyroid goiters had a very high mortality rate at the turn of the 19th Century. The prevailing surgery to remove the thyroid had a one in five chance to live through the operation. Kocher’s technique lowered the risk to less than 1%. 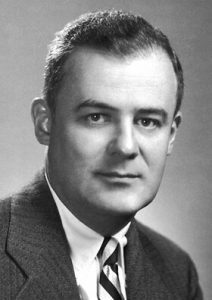 Kocher was also a pioneer in neurosurgery. He researched included techniques dealing with concussions, epilepsy, and intracranial pressure. 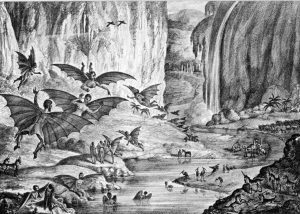 1835 – First article of the “Great Moon Hoax” published. 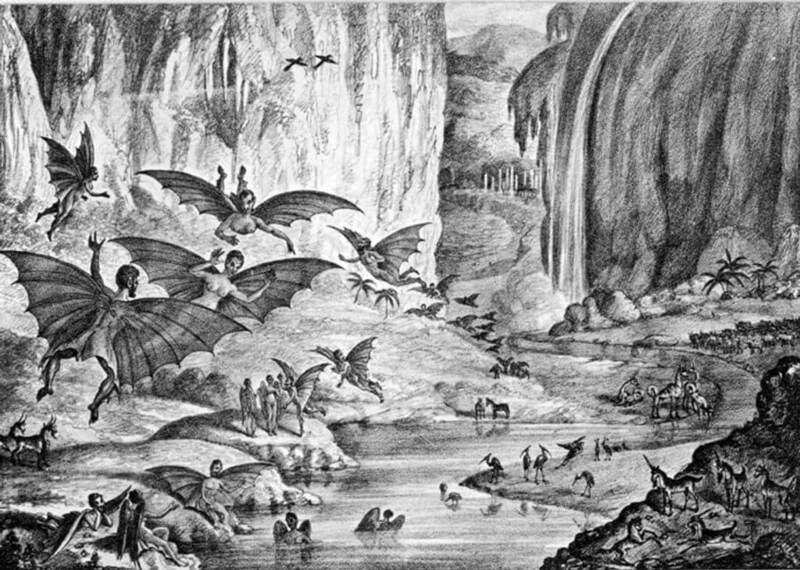 The first of six articles claiming life had been discovered on the Moon were published in the New York Sun newspaper. Richard A. Locke wrote the series and attributed the discovery to John William Herschel. The articles were exposed as a hoax two weeks later but no retraction was ever made by the paper. 1822 – Frederick William Herschel died.